We asked you to vote and you certainly did! In fact 5837 votes were recorded on the Facebook album created for the 88 entries we received for AWR’s Student Awards 2018. A vote equalled a like or reaction and the tally was taken at midday January 30, 2019. The most popular and indeed brilliant work was none other than that of Joe Cornish, who last year attended Nuriootpa High School in South Australia. 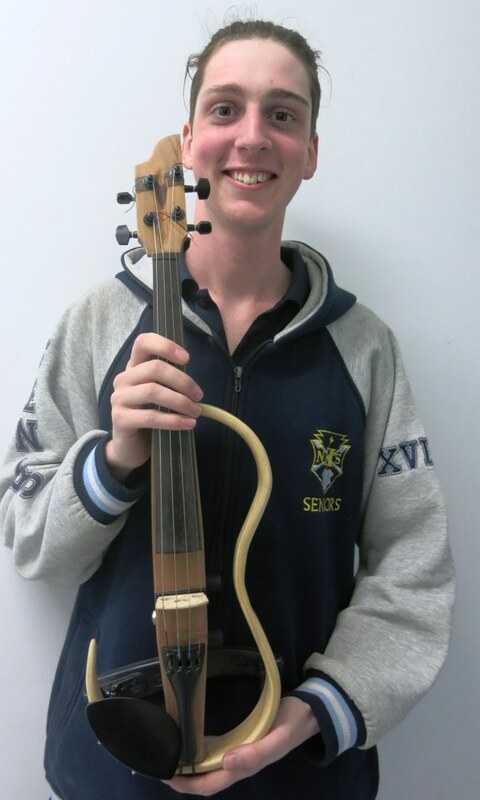 With the help of his teacher, Rainer Kahl, Joe designed and made the Electric Violin shown here. Joe received a massive 645 votes. Joe will receive two beautiful Luban block planes, standard and low angle, generously sponsored by Timbecon. The main award recipients for Student Awards 2018 have already been determined by judges Carol Russell and Darren Fry, both of whom have been sworn to secrecy. We'll announce all award winners and feature their work in the next issue of Australian Wood Review. To receive your copy, subscribe to the magazine, print and/or digital here.